01182013_Becherer_Pakistan007: Global News Events: Global News Portfolio: New Orleans based Photojournalist covering the Deep South and beyond. PESHAWAR, PAKISTAN. After taking a hit of heroin an addict wipes his face in a back alley on the streets of Peshawar, Pakistan on Sunday March 2, 2008. 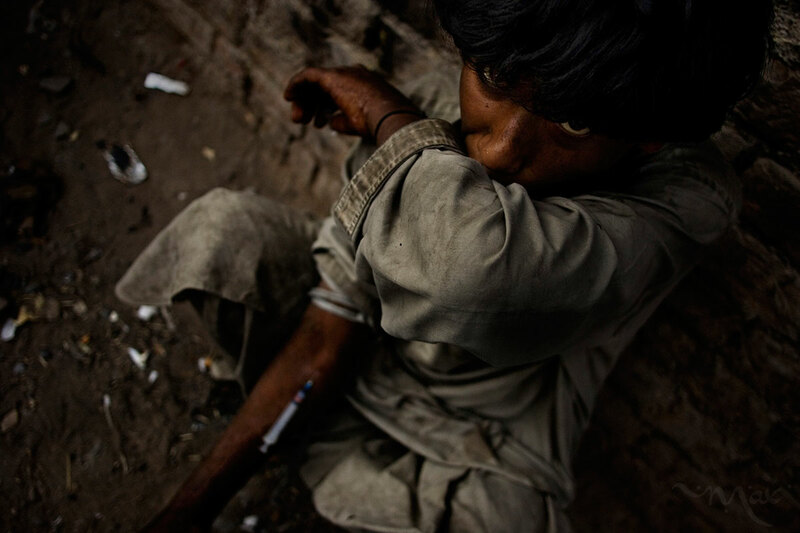 Record poppy crops in Afghanistan have pushed a surge in heroin addicts across the border in Pakistan. The use of intravenous injection of the drug is helping to spread HIV/AIDS in areas where there is little or no help for those with the disease.